You’ve Made Our Blog Award Winning! To our subscribers and to other readers, your interest and social media shares for topics related to transportation services have gained us added notice and credibility. Thank you. For 2019, we encourage you to check us out weekly. Interact with us; make your voice known in the comment section of the blogs you read. And, please continue to share our thought-provoking, relevant work with your colleagues. To view all of our posts covering TMS, fleet maintenance, business intelligence, and current events including blockchain, freight visibility, business process assessments, brokerage, implementation and more, click here. Consider spending time by reading a topic thoroughly. Be sure to share one piece or the entire link with someone who has a vested interest in the transportation industry. To recap the past year, we selected a few of the most viewed classics, our best of 2018. Did you miss one? Over the years, the transportation industry has developed a number of Key Performance Indicators (KPIs) that are not only scalable to the size of your company but also measure different factors depending on what is important to the business. National Private Truck Council President and CEO Gary Petty covers short- and long-term challenges in the vertical in a blog he wrote during the first quarter of the year. He gives stats to show what’s going on and what can be expected. Is Petty on the mark? Is your business still going through the fleet maintenance process manually? Entering a work order, scheduling the job, getting the truck in the shop, searching for parts in the warehouse, writing the bill out by hand and entering the information into a database? Or, is your current maintenance solution just not getting the job done? There is a solution. Writer Merrill Douglas talked with leaders and created a powerful piece and heads-up for brokers on how to avoid pitfalls in handling transactions. Change is about more than just upgrading the technology, but rather, it is vitally important to successfully and profitably manage people and processes. This is especially true when implementing a new Transportation Management System (TMS) because it can lead to increased efficiencies across all areas of the business. 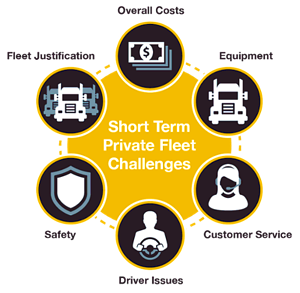 Trimble’s Joe DeBoth provides food for thought for transportation business leaders who are considering smart contracts and outlines the work that goes with stepping into the blockchain arena. 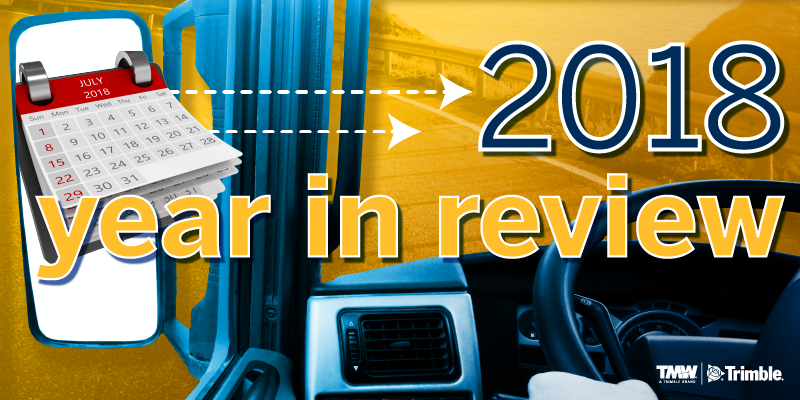 Writer Faith Boone interviews trucking association movers and shakers to determine what issues are in the wings for American and Canadian trucking companies as we move toward 2020. Giants Maritime-Ontario and Carlile Transportation share issues, strategies and results for greater efficiencies on the dock. Founder and President Ann Miner of the Toronto-based firm The Dunvegan Group provides sure-fire, multiple ways to separate your company from the pack. Writer Seth Skydel explains: One of every three of the largest shippers in North America uses one or more 3PLs to meet their freight carrying capacity needs. 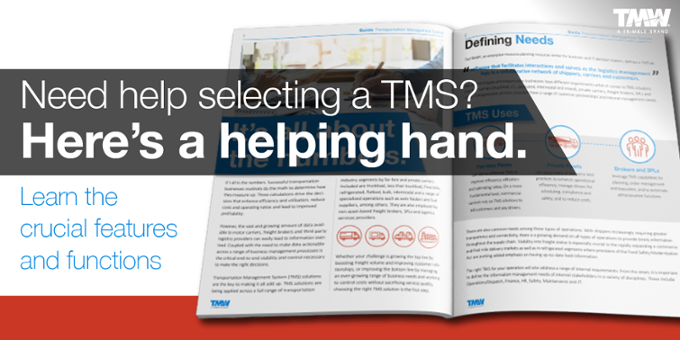 For 3PLs and brokers, a proactive approach to freight visibility used in conjunction with a TMS designed for their business needs is more than a means of differentiating themselves from their competitors. If you are not a current subscriber, sign up now to stay in the know for all of 2019 and beyond. Our blogs are delivered weekly to your inbox. If you are interested in any of the products or services contained within, don’t delay. Contact us for the details.